I’m sure I’m not alone among Elvis Presley fans in noticing the similar circumstances surrounding the 2009 death of Michael Jackson and the death of Elvis in 1977. Both died suddenly and unexpectedly. The misuse of prescription drugs obviously played a role in both deaths. For both men a huge, spontaneous public out-pouring of grief and remembrance resulted in wall-to-wall coverage by seemingly all media outlets. Another similarity arising from the two icons’ deaths can be seen on the newsstands. As with Elvis back in 1977, the image of Michael Jackson can be found on the covers of dozens—perhaps hundreds—of magazines and tabloids. I haven’t purchased a single publication with the King of Pop on the cover, but when Elvis died, I picked up several dozen magazines with covers featuring his image. I still have most of them, and recently I pulled them out of storage to take another look. Of course, most of those magazines were rushed to newsstands by publishers simply looking to make a few bucks on Elvis’s untimely death. 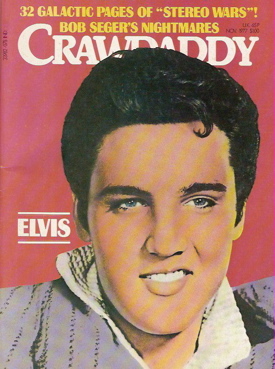 Some merely reprinted dozens of articles that had appeared in magazines throughout Elvis’s career. Many others contained nothing by meaningless articles recounting Elvis’s exemplary life and portraying him as the only perfect man to walk the earth since Jesus. Among all the filler, however, an occasional thoughtful tribute to Elvis was to be found by those of us who were then trying to come to grips with the real meaning of the man’s life. In the months following Elvis’s death, the article that best answered that question for me appeared in the November 1977 issue of Crawdaddy magazine. Founded in 1966, Crawdaddy was the first American magazine to treat rock ’n’ roll as a serious form of music, on a level with jazz and folk. It’s not surprising, then, that the magazine commissioned several respected writers to give their perspectives following Elvis’s death. The best article in that issue was written by Robert Ward, an up-and-coming novelist, whose work had already appeared in Esquire, New Times, Penthouse, and Sport magazines. In later years, adding to his nine published novels, Ward became a screenwriter, with nine episodes of Hill Street Blues and eight episodes of Miami Vice among his many TV credits. 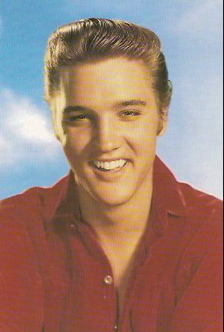 In his 4,000-word article about Elvis in 1977, Ward discussed both the impact of Elvis on his own life and the man’s influence on American culture. 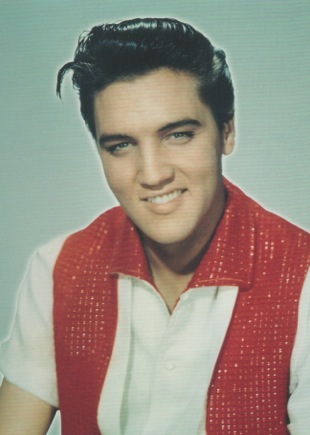 After explaining the alienation he felt as a 12-year-old in the stifling American culture of the mid-fifties, Ward described one of the defining moments of his life—the first time he heard Elvis Presley’s voice. He was reading a book and listening to the radio in the cellar of his parents’ small Baltimore home, when disc jockey Buddy Deane played “Heartbreak Hotel” for the first time. Over 20 years later Ward recalled the intensity of that moment. But the song did end, and young Robert ran upstairs to call Deane and request he play it again. He couldn’t get through; the lines were jammed. Running back downstairs, he waited by the radio. Forty minutes later, Deane spoke of “hundreds” of callers who wanted to hear “Heartbreak Hotel” again. Once again, Ward was mesmerized. • "Whatever his name is, I love him"
“We loved you. You were our Youthful God, and when we believed in you, you made us believe we too were gods. And then you went and did it, man. You got old, you got fat, you grew lazy, confused. And then you went down the crapper. You flunked, baby. You weren’t a legend at all. You were only a mortal, and a Southern shitkicker to book, like your shitkicker fans. And you left us all alone. "Nothing in my entire life has hit me with the force of the first moment I hear Elvis Presley sing ‘Heartbreak Hotel.’ I literally cannot bear for the song to end."